St. George’s, Bermuda –– An anonymous donor has awarded BIOS $6 million to support collaborative research on the distinctive microbial communities of the Sargasso Sea over the next five years. The research will leverage ocean measurements and ongoing research at the Bermuda Atlantic Time-series Study (BATS) site, bringing new collaborations and technologies to study the ocean’s smallest life forms. A core team of scientists representing BIOS, the University of California Santa Barbara (UCSB), and Oregon State University (OSU) will lead the project, with UCSB Professor Craig Carlson as director, coordinating the core team and the program’s collaborating scientists. BIOS President Bill Curry and Senior Scientist Nicholas Bates will oversee scientific and sea-going logistic support with respect to BATS. 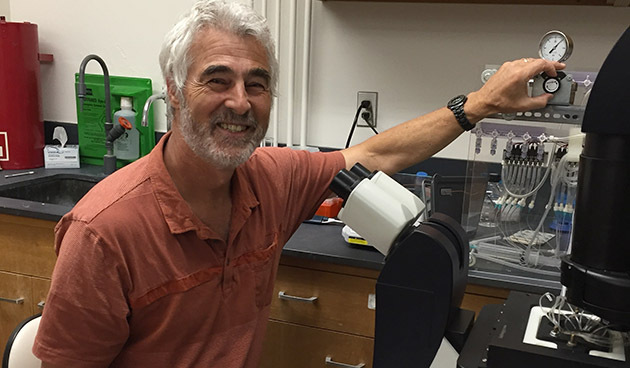 OSU Professor Steve Giovannoni will coordinate genomic sequencing efforts and bioinformatic data processing. OSU Professor and BIOS Adjunct Faculty, Dr. Steve Giovannoni. 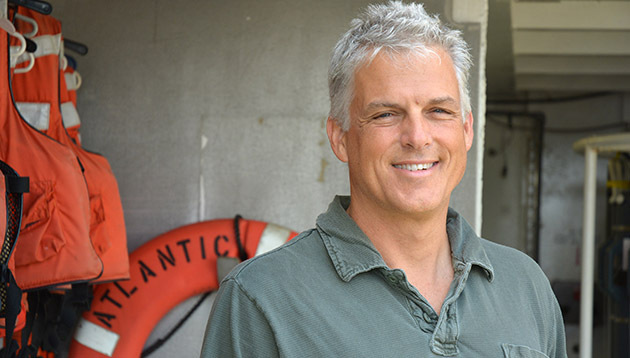 Carlson is well known for linking changes in dissolved organic matter to microbial activities in the Sargasso Sea, and Giovannoni is a microbiologist who exploits new technologies to isolate single important species or molecules, which can be vitally important in ocean ecosystems but easily overlooked. In past work conducted at the BIOS Microbial Observatory, Carlson and Giovannoni identified many of the major microbial constituents in the Sargasso Sea, and observed ecological succession among microbial communities from season to season. Now the team will focus on understanding what chemical compounds those microbial communities produce, transform, and leave behind, including through community interactions with viruses and zooplankton. “From a large biogeochemical perspective, we can really start to understand how microbial community structure helps produce and redistribute carbon in the ocean and vice versa,” Carlson said. Phytoplankton, the ocean’s floating forests of single-celled microbes, play a vital role in the ocean carbon cycle as they harness solar energy and transform carbon dioxide into the organic carbon that sustains marine food webs. However, the ocean carbon cycle quickly adds up to a complex network of chemical reactions. 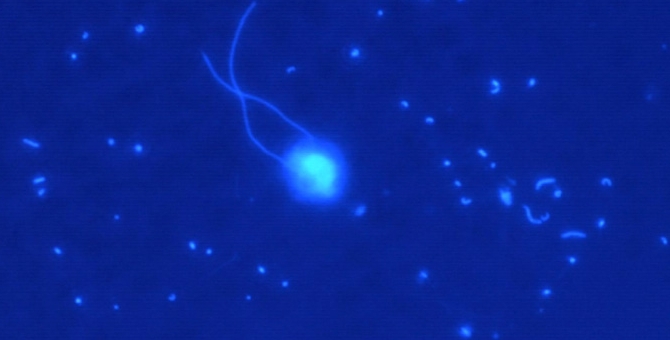 The fate of a plankton cell’s organic matter can take a circuitous path through the microbial food web, where more than a million bacterial cells in each drop of seawater colonize and consume organic material, are preyed upon by larger microbes, or are attacked by viruses. The mix of “dissolved organic carbon” resulting from cells that have died intermingles with organic compounds deliberately secreted for cell-to-cell communication and defense mechanisms. This project taps scientists with diverse backgrounds and skill sets which are essential for making progress in a field that unites global ocean processes with cellular-level biochemistry. Chemical oceanographer Liz Kujawinski of Woods Hole Oceanographic Institution is another collaborator who will contribute her expertise in analytical methods to identify organic matter composition. Her experience with high-resolution mass spectrometry will be used to characterize the “fingerprints” left by different metabolic processes happening in the water. Computational expertise is also essential to maximize discoveries from the extraordinary interdisciplinary datasets BIOS plans to collect and analyze. Bioinformatician Ben Temperton of the University of Exeter (UK) will bring both computing expertise and extensive knowledge of marine microbes to the project. BIOS zooplankton ecologists Amy Maas and Leo Blanco-Bercial will help unravel the role that vertical migrating zooplankton play in structuring microbial communities from the surface to the deep. The world’s only two long-term time-series sites, where data provide seasonal and decadal context about changing ocean chemistry, currents, and patterns of mixing, are the BATS site and the Hawaii Ocean Time-series (HOT) site. In contrast to the subtropical North Pacific, winter mixing in the subtropical North Atlantic disrupts the microbial community that developed in summer’s warm surface waters, but also brings an influx of vital nutrients from the deep sea. These seasonal changes shift which microbes dominate the community, generate changes in the amount of organic matter that is produced, and impact rates of carbon sinking down to be sequestered in the deep sea. Contrasting these two sites may lead to discoveries that can be applied to understanding what plankton are doing across wide ocean regions. BIOS is a U.S .not-for-profit organization with 501(c)(3) status and a Bermuda registered charity (#116). Visit us at www.bios.edu.